Successfully Added 10Pcs Three Setting LED Alarm Clock - 3 Color Display to your Shopping Cart. 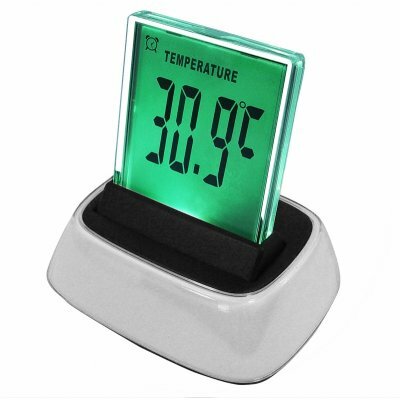 Three Setting Mood Clock (Time, Alarm, Temperature) whose high brightness screen will continually change color from red to blue to green for a nice relaxing atmosphere anywhere it is put. A great little gadget this mood clock also lets you change the function easily by just pulling the screen gently towards the front. It requires very little power from the 3 AAA batteries and will last for an extremely long time before a battery change is needed. Chinavasion offers this item as a ten piece wholesale lot for the very best price for the item and shipping, so purchase this item and see your resale value soar.